In Polyboard materials only have thickness the size of the parts are calculated and exported to OptiCut. You set the size of the sheet material that you buy to cut the parts in OptiCut. You have to create the stock of sheets in OptiCut. Each sheet will have it’s size (ie: 4×8 or 8×6) and it’s material. The material has to be the same name as in Polyboard. 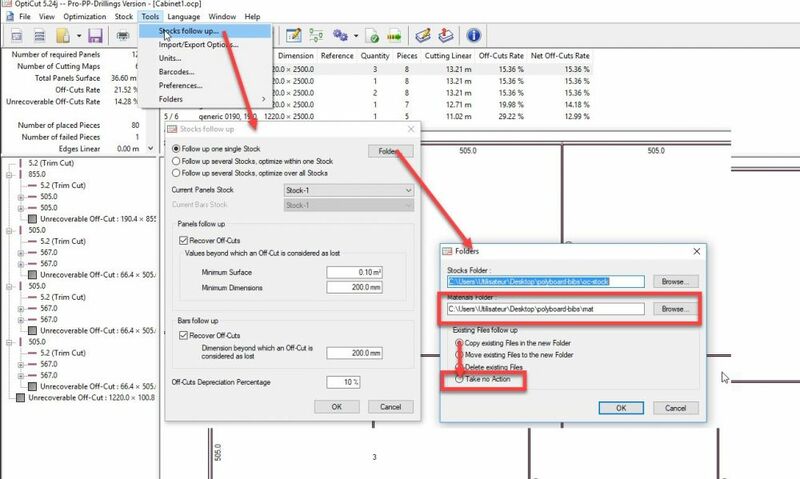 Each program can have it’s own material library or you can also set up the material library for OptiCut as the same as Polyboard. To set Polyboard material to be used in OptiCut goto Tools>Stocks fllow up>Folders. 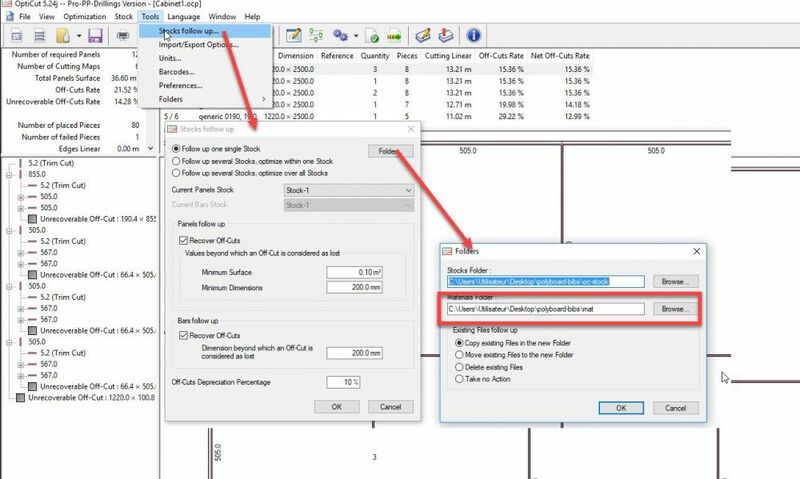 Be sure to un-tick “Copy existing files to the new folder” and tick “Take no action” or you will overwrite the Polyboard library with the existing OptiCut material! If you have several sheet sizes for the same material in the OptiCut stock the program will optimise the cutting lists using the best combination of sheet sizes. 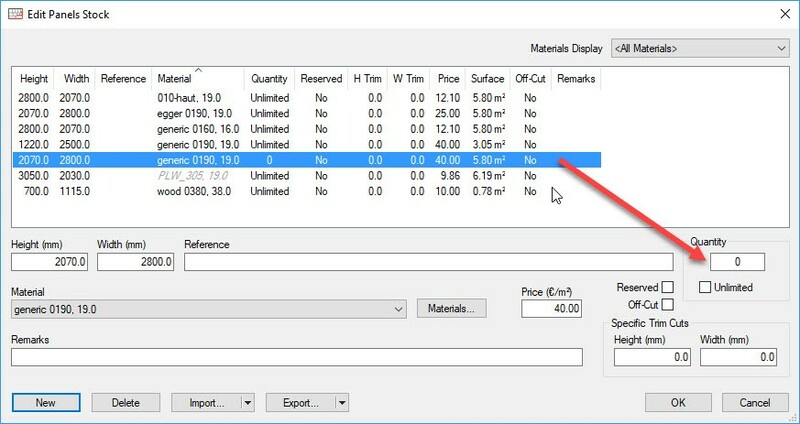 If you want to test optimisation onto just one sheet size go to Stock>Edit Panels and entre “O” in the quantity value of the sheets you want to inactivate. Only the Thickness is entered. Are the board Width and Height entered only in Opticut ? Do we create materials with the same name in Opticut ? example – If you have board materials available in 2 sizes (ie 8 feet X 4 Feet as well as 8 feet X 6 Feet) and you want to find out in which case there is minimum wastage , can we change the material in Opticut and check that out ?